Parents, you are NOT alone. We asked the BuzzFeed Community which books have been most helpful in raising their children. Look below for the full round-up of reads that may make your own life as a parent just a tad bit easier. 1. Sippy Cups Are Not for Chardonnay, a read guaranteed to make you laugh at the joys and challenges of the endless — and often pointless — parenting advice every new mom encounters. Get it from Amazon for $8.48+ (available on Kindle, paperback, audiobook, and MP3 CD). 2. Parking Lot Rules, which is running over with tips to ensure your epic babies are happy, protected, and ready to take on the world. Get it from Amazon for $5+ (available on Kindle, hardcover, and paperback). 3. How to Talk So Kids Will Listen for creating strong communication patterns between yourself and your little ones. Because they won’t be talking adorable gibberish forever. Get it from Amazon for $9.61+ (available on Kindle, hardcover, paperback, audiobook, and audio CD). 4. Heathy Sleep Habits, Happy Child to offer you techniques that'll improve your children’s sleeping habits from their days as a newborn through their adolescent years. Get it from Amazon for $9.97+ (available on Kindle, paperback, audiobook, and MP3 CD). 5. The Giving Tree — a timeless tale that’ll teach kids the importance of being kind and helping others. Get it from Amazon for $8.29+ (available on Kindle, hardcover, paperback, and audio CD). 6. Chicka Chicka Boom Boom for an exciting way to teach your tiny scholars the alphabet so they can eventually write that memoir dedicated to you. Get it from Amazon for $3.99+ (available on Kindle, hardcover, paperback, and board book). 7. Bringing Up Bébé to incorporate French parenting strategies into your own home, providing some new tools that may make your children even MORE amazing. Get it from Amazon for $2.05+ (available on Kindle, hardcover, and paperback). 8. 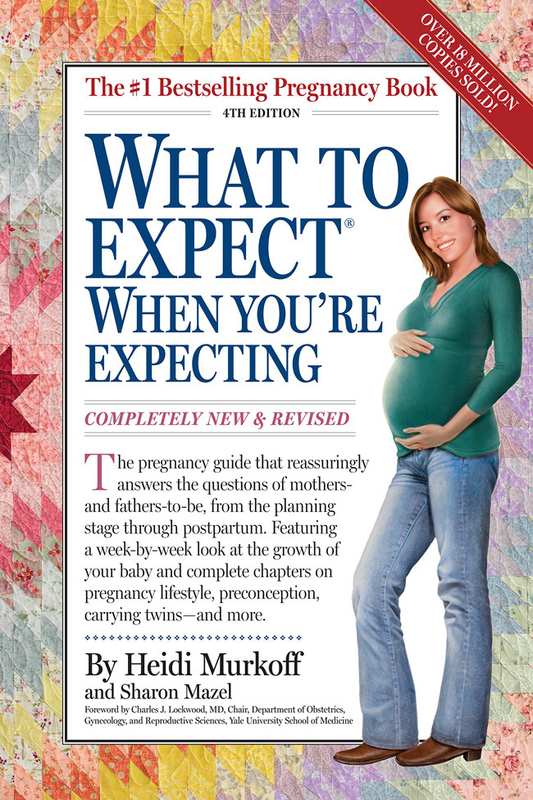 The What To Expect series, which includes books dedicated to the first year, mommy-to-be eating tips, and even advice for anyone planning to start a family. 9. The Connected Child so you can build and nurture an unbreakable bond with your adopted child, using tips to promote trust, affection, and a deeper connection in your family. Get it from Amazon for $1.69+ (available on Kindle, paperback, and digital). 10. The Toddler Survival Guide for a laugh-filled take on those precious little monsters you call your kids and how to tote them through toddler life. Get it from Amazon for $9.99+ (available on Kindle and hardcover). 11. Brain Rules for Baby, which is packed with tips that'll better equip you for raising your little one from a newborn to 5-year-old. Get it from Amazon for $8.63+ (available on Kindle, paperback, and audiobook). 12. On Becoming Baby Wise to learn new strategies that'll help your baby have a more restful night of rest. So you can then get a little sleep yourself. Get it from Amazon for $9.99+ (available on Kindle, hardcover, paperback, and audiobook). 13. Love You Forever, perfect for honoring the timeless bond of love between mothers and their children — even when kids are making a raging toddler mess. Get it from Amazon for $4.49+ (available on Kindle, hardcover, paperback, and audio CD). 14. Everything I Never Told You as a reminder you should let your children follow their own path in life and always communicate openly with them. Get it from Amazon for $10.19+ (available on Kindle, hardcover, paperback, audiobook, and MP3 CD). 15. Dragons Love Tacos to assist your mini explorers in their quest to finally capture a dragon of their own. Just let them know the mythical beast will have to sleep outside. Get it from Amazon for $9.95+ (available on Kindle, hardcover, paperback, and audio CD). 16. Parenting With Love and Logic and Parenting Teens with Love and Logic so you can raise kids that are self-confident, responsible, and always feel encouraged to be their best selves. Get them from Amazon: Parenting with Love and Logic for $9.50+ (available on Kindle, hardcover, paperback, and audio CD) and Parenting Teens with Love and Logic for $9.50+ (available on Kindle, hardcover, paperback, and audio CD). 17. 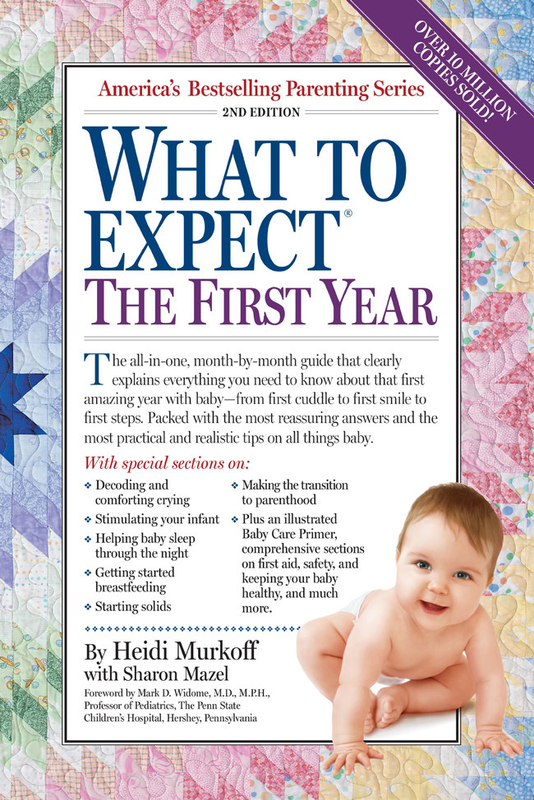 The Wonder Weeks for a detailed breakdown of your newborn’s developmental stages and how to navigate them. Get it from Amazon for $8.69+ (available on Kindle and paperback). 18. On the Night You Were Born to celebrate your kids and let them know they are truly something special. AND that they are pretty damn cute, too. Get it from Amazon for $4.99+ (available on Kindle, hardcover, paperback, and board book). 19. Loving Our Kids on Purpose, which provides parents tools to guide their children while still allowing their kids to navigate and manage their own life paths. Get it from Amazon for $9.95+ (available on Kindle, hardcover, paperback, and audiobook). 20. And If You Give a Mouse a Cookie so your children can learn an early lesson about patience and understanding when the world — or their first customer service job — is demanding everything and damn more from them. Get it from Amazon for $5.98+ (available on hardcover, paperback, audio cassette, and board book).